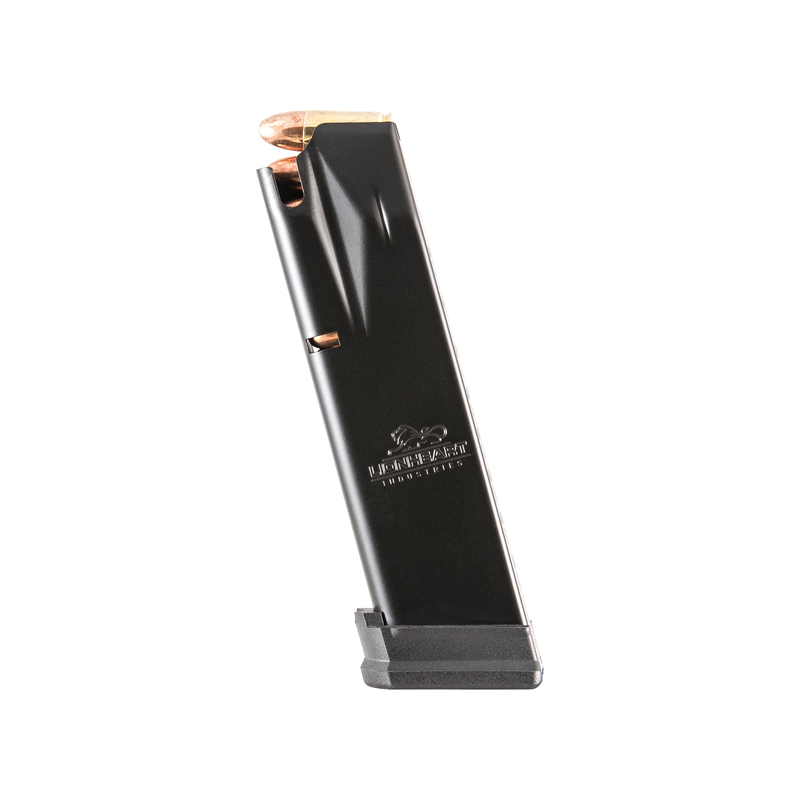 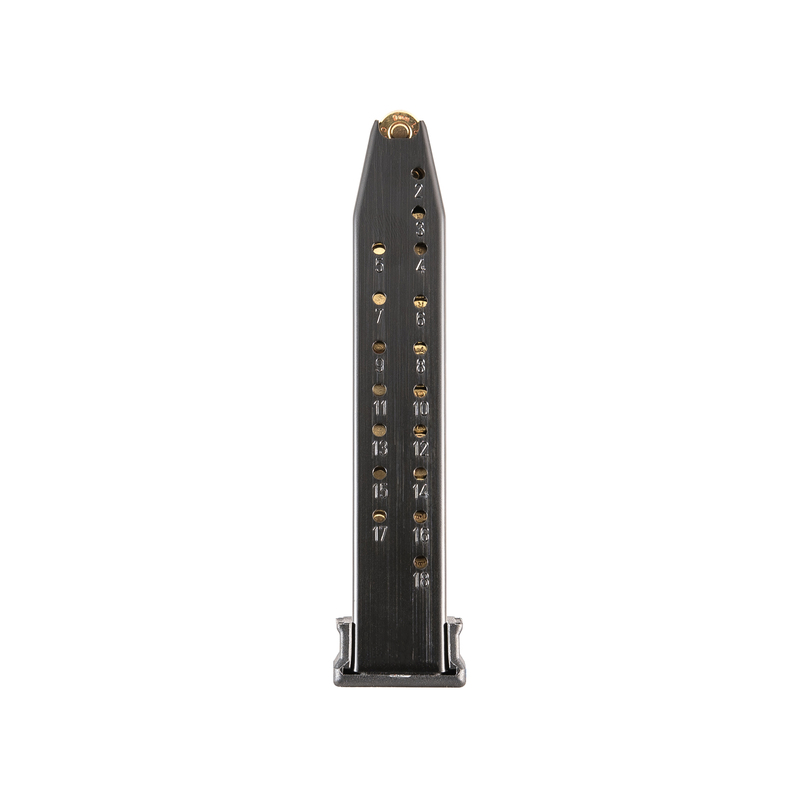 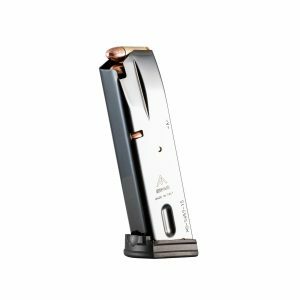 Our high quality 18 round magazine is built with quality components and a Mec-Gar anti-friction coated body and follower. 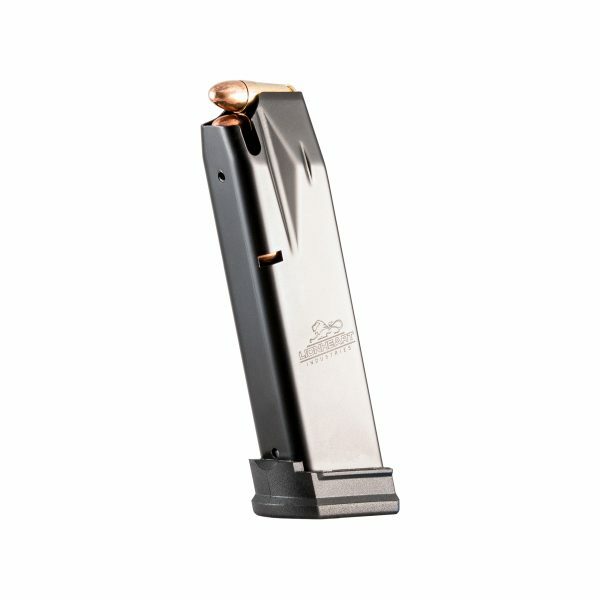 These magazines are only compatible with the Regulus Alpha Full-sized pistols. 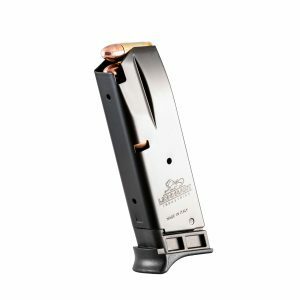 Our 18 round magazine is wider and the fitment is too tight for LH9N or LH9N mkII or Daewoo DP51.